What Makes You a Different Real Estate Agent From Others? When I started selling real estate, I did exactly what everyone else did but after a while I started deviating from the norm. My brokerage told me what to say, what to bring to the appointment, prepare a big book with certificates and sample fliers, and a 50+ page CMA which always seemed to confuse the sellers. Wow them with big words and you will be a big success. But I could see in their eyes that I had lost them so I changed my stategy almost immediately. Real Estate terminology is not the way to impress sellers and they were really looking for truth, honesty and professionalism. I started preparing my own smaller CMA. I go through the home first and then we sit down and talk. I prefer to sit in the kitchen or dining room table instead of the living room. Couches are usually over-sized and uncomfortable for everyone. I like to talk to the sellers one on one. Of course I have a slide show on my iPad and laptop but I don't think sellers really want to watch a video but instead they prefer to talk to me. I ask them and rarely does anyone want to see it. I do not really talk about 'ME' but instead I like to talk about THEM and their HOME. I ask them questions and we talk about their feelings, wants and needs. At the very end of the interview, I ask them if they have any questions about my marketing, my internet skills, selling procedures, educational background, my resume, my brokerage or anything? I usually get the same answer which is "No we checked you out and found out about you on the internet before we ever called you". Then I discuss their home, features, what I think we should do to sell it and what price I would pick but I ask them this too. How much do you think your house is worth and why? In summary, everyone can bring the books, show the videos on their iPad (maybe not as many agents are not iPad savvy), print a 50 page CMA, but not every agent can sit down and have a comfortable conversation with the sellers. Being likable, liking people and being comfortable is something that not everyone can do. Also I can think on my feet so questions do not stump me in the least. Instead of going off the scripts we all have, I give my clients a honest answer and one they can relate with. So when I get the question at the begining "What Makes You a Different Real Estate Agent From the Others" I can answer this question honestly, down to earth, one on one, give them basic information that they understand, and then pull out the listing contract and we are then in the MLS within 2 hrs. I still take my big book in my briefcase but no has requested to see it when I ask. They just want me to sell their home for the best price possible and as fast as I can. Thanks for Reading my Real Estate Blog. Kristin Hamilton CABRE #01492138 Keller Williams Realty –Women's Council of Realtors® Member– I am a full time agent and deal in all types of real estate transactions. Trusts, Probate, Short Sales, Standard Listing, Single Family Homes, Apartments 1-4 units, Duplexes and Condos. I am also an experienced REO agent. I sell real estate in the Riverside, San Bernardino, Orange, and Los Angeles Counties. I am a trained and experienced Short Sale agent. If you are looking for a professional and experienced agent, I am just a click away. Google me at Kristin Hamilton-Real Estate Agent. Homeowners and Buyers both will find my services top notch and successful. 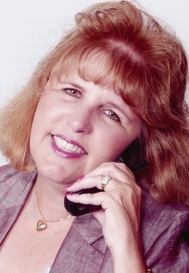 Call me to sell your home; both traditional and short sales.